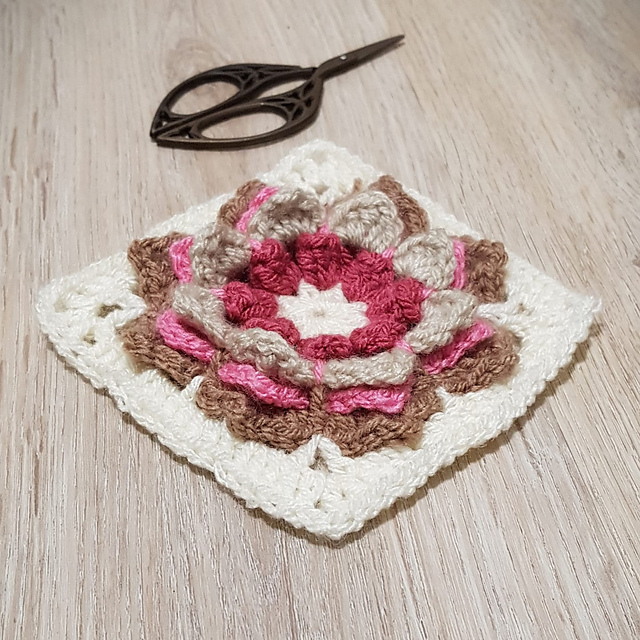 Fantastic squares with a flower motif. You can use them to create very interesting patterns. Blankets, pillows or clothes elements look great. Find your ideal application. Combine squares into an interesting whole. You can change colors according to your imagination. The size of the squares is 12″. This is a free pattern for everyone. The brilliant yarn for this project will be Stylecraft Special Double Knit. 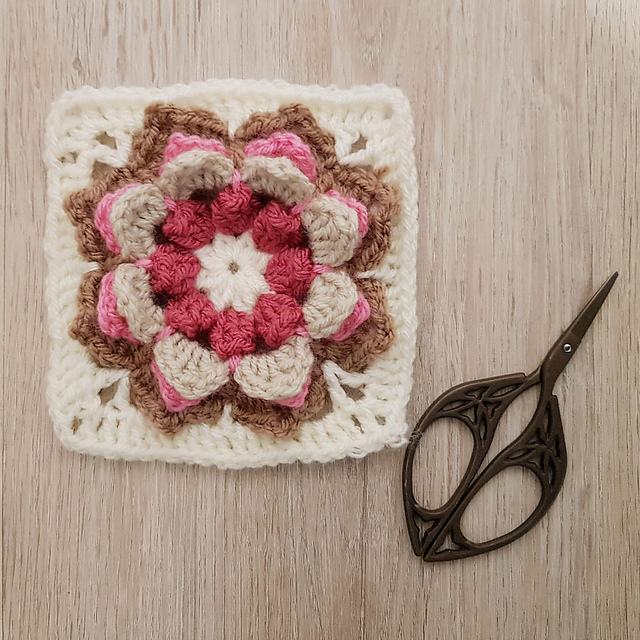 Make yourself a lot of fun creating this beautiful square. Good luck!